This post of top ten fort building tools contains affiliate links designed to provide a means for sites to earn advertising fees. My kids would probably live in a fort in the backyard if I let them! They’ve built forts from kits, blanket forts, stick forts, and pretty much anything and everything turns into fort building. I’ve compiled a list of our top ten fort building tools and kits, many of which my kids will use over and over again year round, indoors or out. These kits are really versatile and you can literally make any configuration you want and build them anywhere! In A Hurry? 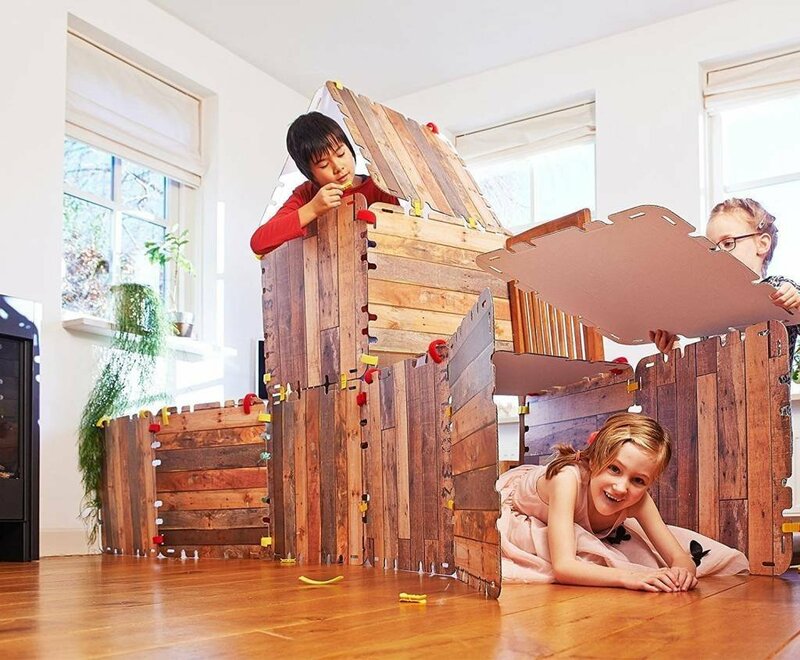 CLICK HERE to see all the top-rated fort building kits. Top Ten fort building tools, kits, and accessories! Crazy Forts are Amazon’s suggested choice as a fort kit and is one we have and use often. It is highly customizable and you can buy multiple kits to make your forts even bigger! If you want a kit that has all the bells and whistles, Fort Magic is for you. Not only does it come with everything you need to get started, but has enough pieces to build things like a ship, a submarine, and a castle! 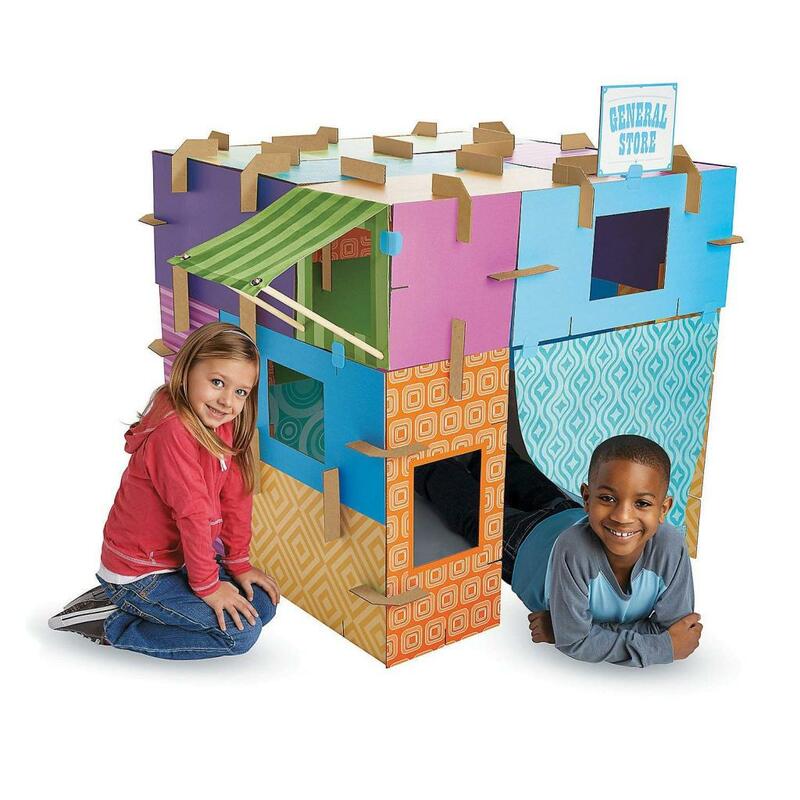 With the Fantasy Fort Kit, you will get 16 faux wood 22″ x 22″ connectable cardboard panels that allow you to create the fort of your dreams. 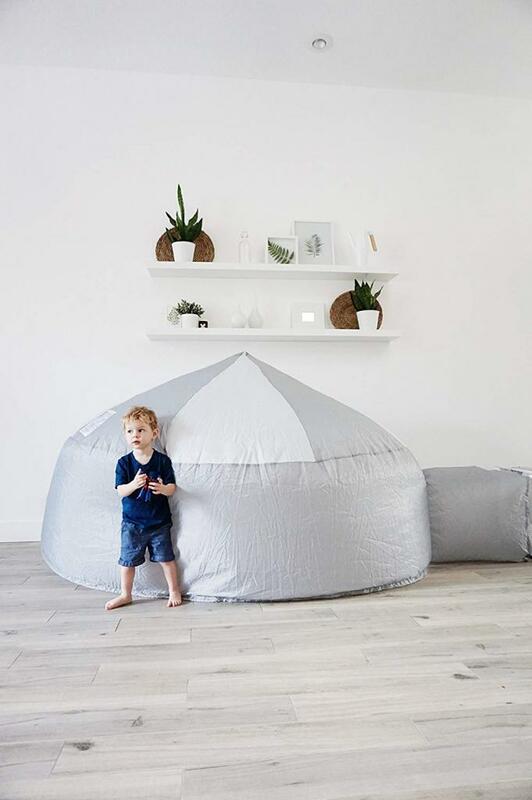 For a fort that builds in seconds and allows imaginative play for hours, the Air Fort is exactly what you need! There is no assembly required and it inflates in less than 30 seconds. 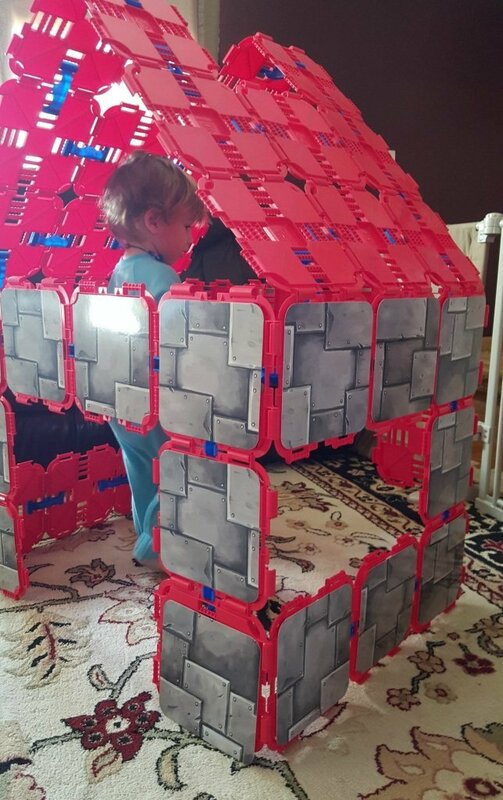 This is a great option for those who want to offer the fun of forts, but have limited time or space for full kits. Build a Life-Sized Fort with Build-Abouts! Building Cardboard Forts is Easier and More Fun Than Ever! Connectors slide into place on the durable, notched panels. All pieces fold flat for storage. Includes over 20 wall panels, 66 connectors, and 4 double-sided signs. Fort Boards do not use the tube or cardboard model like most of the other forts, they use interlocking boards that have connectors to fasten them in a variety of positions. We had a ton of fun building a house out of our Fort Boards! You can see our full review of this product here: Fort Boards Review. Like the idea of easy forts but don’t want all those tubes around? Sprouting Tykes Kids Imagination Kit is the answer! 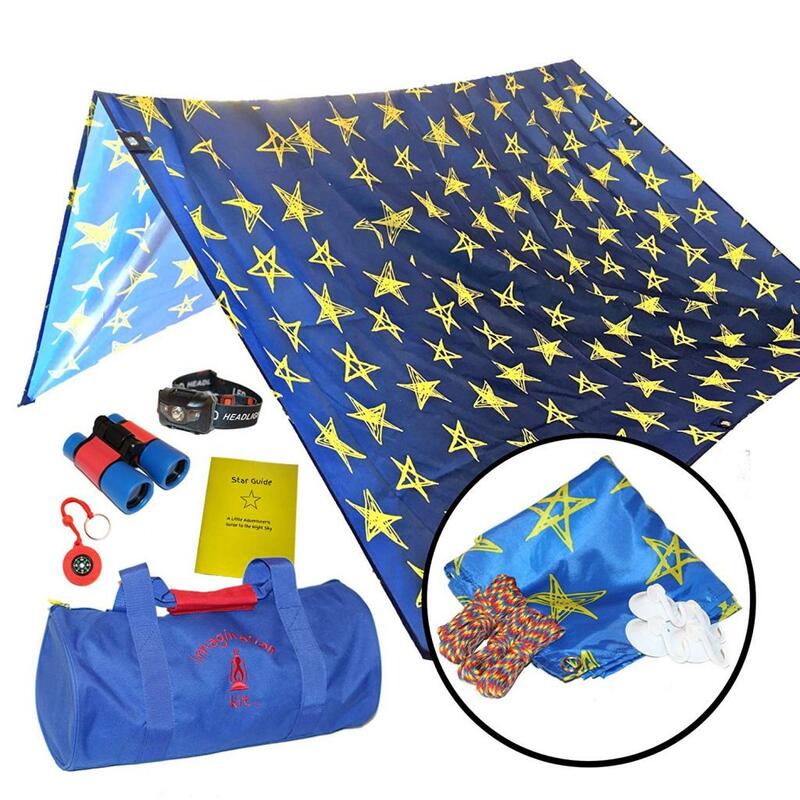 The kit includes a duffle carry bag, fort tent cloth, headlamp, binoculars, compass, exclusive star guide, rope, and suction cups. 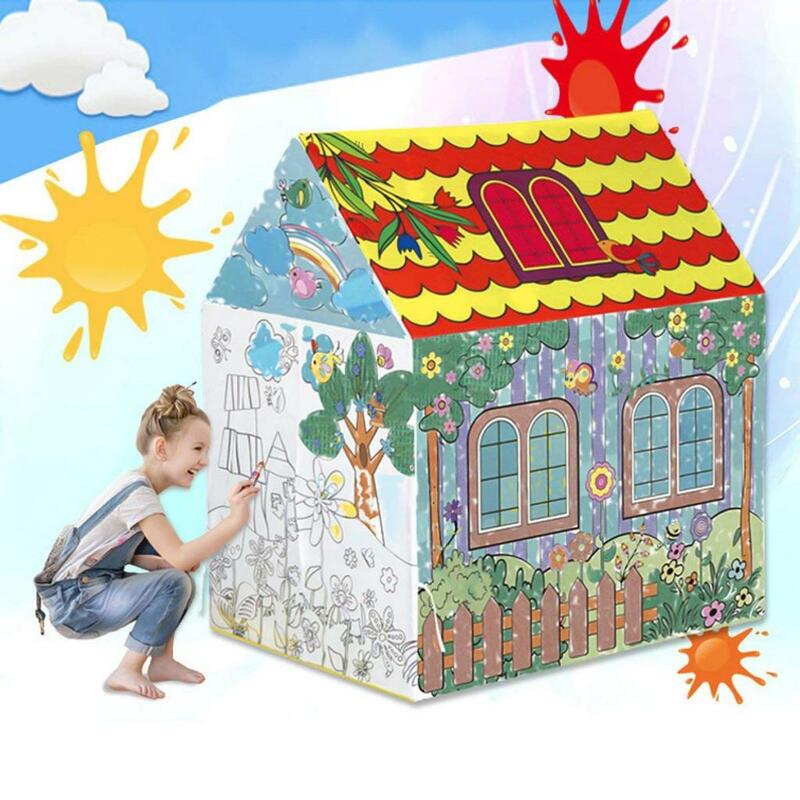 Unlike other DIY playhouses for kids made out of cardboard, the VeraCasa playhouse is designed with ultra-durable polyester that can be customized with water-based markers and paints over and over again. 8 washable markers are included so you can start having fun right out of the box! Take the fun outside this winter and build some snow forts! The Color My Worlds Sand and Snow Coloring Kit comes with a brick maker and fun colors to make neat designs! It is awesome for building walls, igloos, and castles! 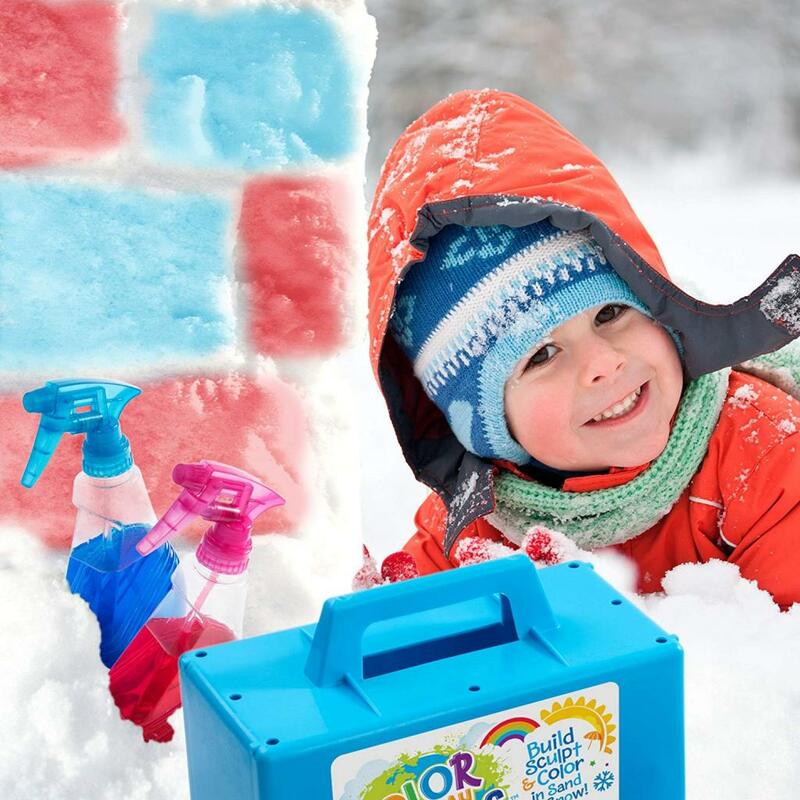 If you really love playing outside, you can even take the fun one step further and get a Sno-Cylinder maker to create that full castle effect! 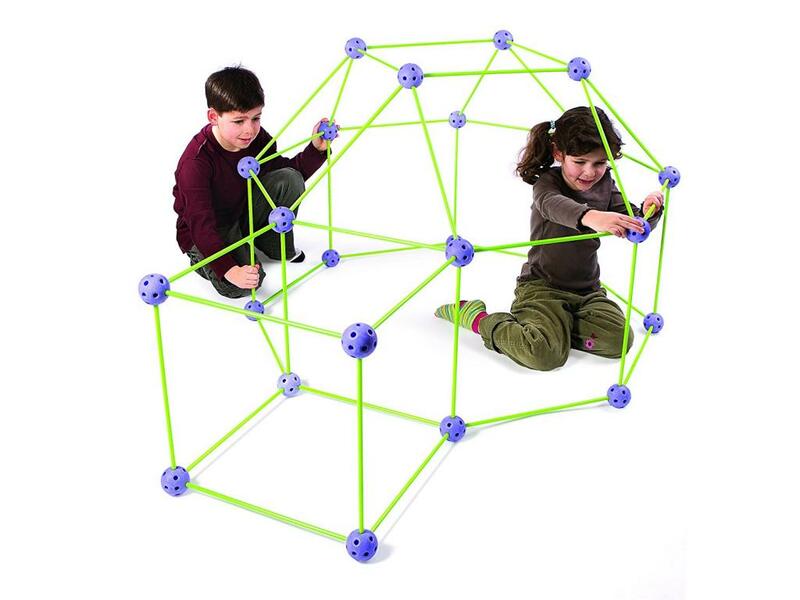 My kids have and love the Discovery kids set, and we have so much fun creating new configurations each and every time. These top ten fort building tools are our picks as favorites and this list is updated frequently as we find new and improved kits. If you have one you love that you think should be on the list, please let us know! Are you signed up for Prime yet? With Prime not only do you get free 2-day shipping on tons of items, but you also get Prime Instant Video, Prime Music, and now Prime photos with unlimited photo storage included with your membership! Sign up for free today and enjoy all these benefits and more, or give Prime as a gift this holiday season and let your friends and family benefit as well! Have you tried any fort building sets? What do you think of our Top Ten Fort Building Tools list? Check out the other Money Saving and Deal Posts HERE! PreviousFour Boardless Road Trip Games For Kids – No Pieces Required! NextDisney Dreamers Academy – Inspiring Dreamers! Get a Head Start on Your Independence Day Party Plans!